We recently published an article by Adele Keyser in which she explains the importance of children doing homework as it helps them learn and retain information, while she also shared a few tips on how we can make more work after school seem less tedious than it is. Gareth Dry, headmaster at Riverview Preparatory School in Mpumalanga, however, disagrees. He wrote in to share his thoughts on why homework at primary school level is really just unnecessary. I am responding to your article Tips to Make Homework Less Stressful published by the slightly misguided educator by the name of Adele Keyser. All the latest and best research around the world now indicates that homework at primary school level is unnecessary and often dangerous to the cognitive and social development of our children. To give or not to give homework is not an ‘age old debate’ as it is actually no longer a debate. The science is in and it is irrefutable. Whilst I concede that the author has stated that the type of homework given must be appropriate, beneficial and given in moderation, the truth is that most schools who still give homework (and they are dropping like flies) ignore this completely and needlessly burden and stress young children who should be spending the time playing as the research suggests. By play I mean healthy play, not in front of a game console or computer or television screen. It is through play that children’s brains convert all the content they have received that day into context. This play, apart from relaxing stressed children, fires the neural pathways to the pre-frontal cortex of the brain where all long-term knowledge is stored. Without this, everything they learned in class that day counts for nothing. Homework stresses children (and parents) out, and brains simply do not absorb knowledge in a stressed out state. That is a scientific fact. The fact of the matter is that parents are partners and not experts in education. In our South African context many parents have a poor education and many are illiterate. The expert is the teacher, and it is the teacher who should be facilitating extension work within the classroom setting. I had an argument with a maths teacher once who said, “You can show a child a diagram of a bike and show them how the pedals work, but unless the child gets on the bike and practises they will never learn. “I agree, but what if the child’s parents don’t know how to ride? What if they have never even seen a bike before? Wouldn’t you rather have a Tour de France champion teach your child? That is the teacher! Let me paint a scenario for you: Little Thabiso in Grade 5 comes home with hours of homework to do. He lives in an RDP house in a township. His mom is a domestic worker with a Grade 9 education and he does not know his dad. He whips out his maths homework which he did not understand in class (he is one of 60 in the classroom) and now is expected to complete questions 1 to 50 by tomorrow. He begins to try but it is hopeless. Mom arrives home and tries to help him in amongst all the rest of her motherly duties such as making supper and getting his little sister ready for bed. But she doesn’t understand the work either. By 9pm Thabiso is still trying. He even worked by candlelight through load shedding. Finally he gives up. He is tearful, his mom is upset and stressed and he is fearful of what his teacher’s reaction will be. Next morning he wakes up with a tummy ache and doesn’t want to go to school. He says he hates school and his teacher. In class his teacher yells at him for not completing his work. Thabiso feels stupid. And the vicious circle continues to turn. The best education systems in the world such as in Finland and Singapore don’t do homework – or at least not homework as we see it. And yet they produce more university graduates than any other country. Many schools, including my own, have banned traditional homework. Instead, when children go home, they read. Reading is compulsory as it is the foundation of all knowledge. They study when they have a test and they are given the odd research task and conversation topic to have with their parents around the dinner table. All ‘homework’ or ‘extension work’ as we like to call it, is completed in class under the supervision and support of the teacher. Studies have shown that, in these schools, literacy and numeracy marks have gone up, absenteeism has dropped (because the kids actually want to come to school) and incidents of ill-discipline have also declined – in fact in my school we have done away with detention as it isn’t necessary anymore. “But what happens,” I hear many say, “When your children get to high school and are swamped with homework?” We have tracked our children into high school and they are generally thriving. They show resilience and grit (the sole determining factor in success according to a Harvard study) in everything they do. So homework? No thank you! What are your thoughts on homework and added research projects and assignments after school? 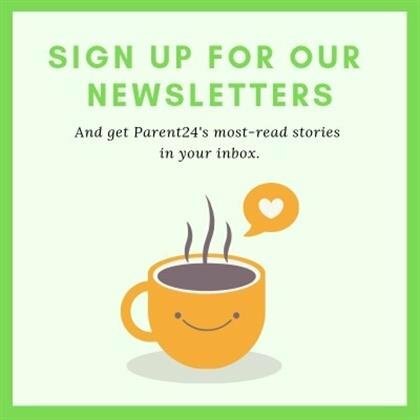 Send your thoughts to chatback@parent24.com and we may publish them. Does helping your child with homework hinder their progress?